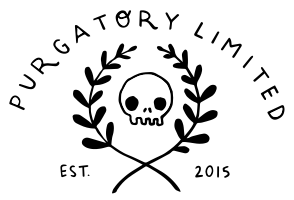 MEMENTO MORI CROSS STITCH SAMPLER / Purgatory Ltd. Handmade cross stitch, ready for hanging in a 5 inch embroidery hoop. The sampler reads "memento mori" (remember you will die), which is surrounded by hearts, a church, trees, and an hourglass. Vanitas art serves to remind the viewer of their own mortality. In 16th and 17th century Vanitas paintings, both hourglasses and plants symbolized the brevity of life.